Angela has done it again – sewing a BEAUTIFUL garment from an Itch To Stitch pattern. 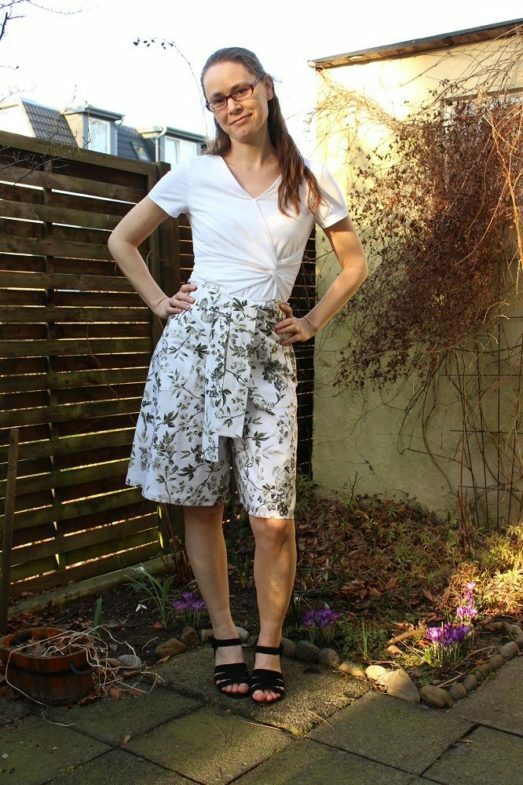 This time around she sewed the Emily Culottes. I love her choice of fabric, her fit and her construction the first time I see her culottes. Now I get the opportunity to see the wonderful finishes she tirelessly created up close and personal in her blog post. Please head over to Angela’s blog, My Little Sewing Dreams, and give her some love! Don’t forget about the Emily Culottes pattern giveaway. You can still enter even if you bought the pattern; you will get a refund if you win.